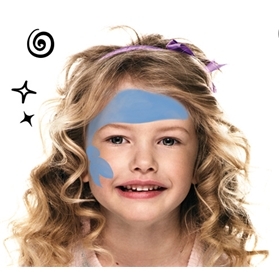 With a slightly wet brush and blue paint, draw a shape on the child’s forehead for the bandana. Remember to draw the shape of a knot on the side of the face. 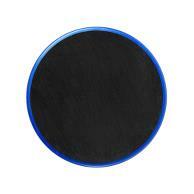 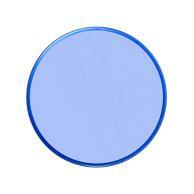 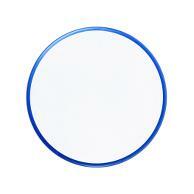 Use a slightly wet sponge to fill the shape with blue paint. 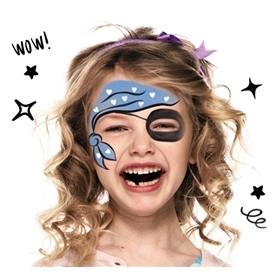 With a small brush and black paint carefully outline the edges of the bandana on the child’s forehead and cheek. 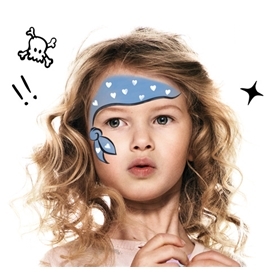 Then with a brush and white paint, draw some white dots or hearts on to the blue bandana.